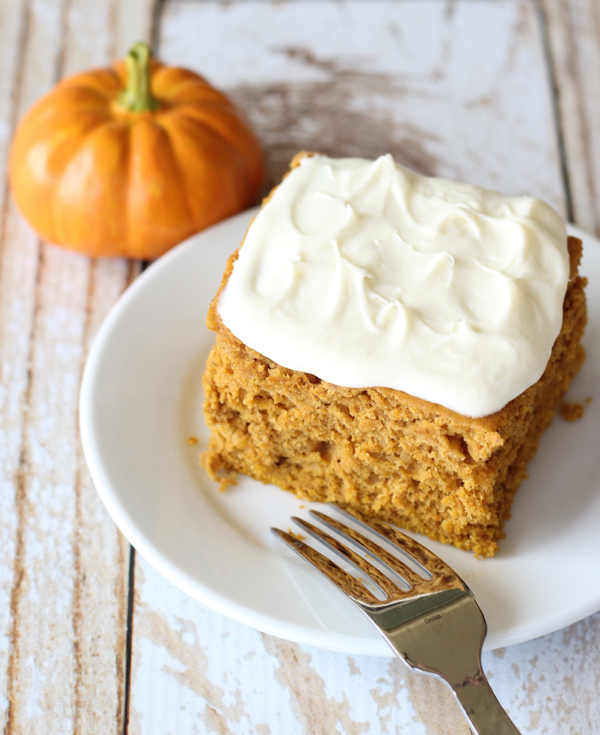 With just 5 Ingredients, this delicious easy Pumpkin Spice Cake Recipe is simple to make and SO delicious! Spray 9×13 nonstick cake pan with Pam cooking spray, and set aside. Combine all ingredients in large mixing bowl, and mix until well combined. Pour into cake pan and spread out evenly. Bake for 25 – 30 minutes, or until a toothpick inserted in center comes out clean. After cake has cooled, top with your favorite Cream Cheese Frosting. ENJOY!